“Yours truly” is broken-hearted!! A dear friend was released from pain and suffering last night. I’m going to miss him terribly!! 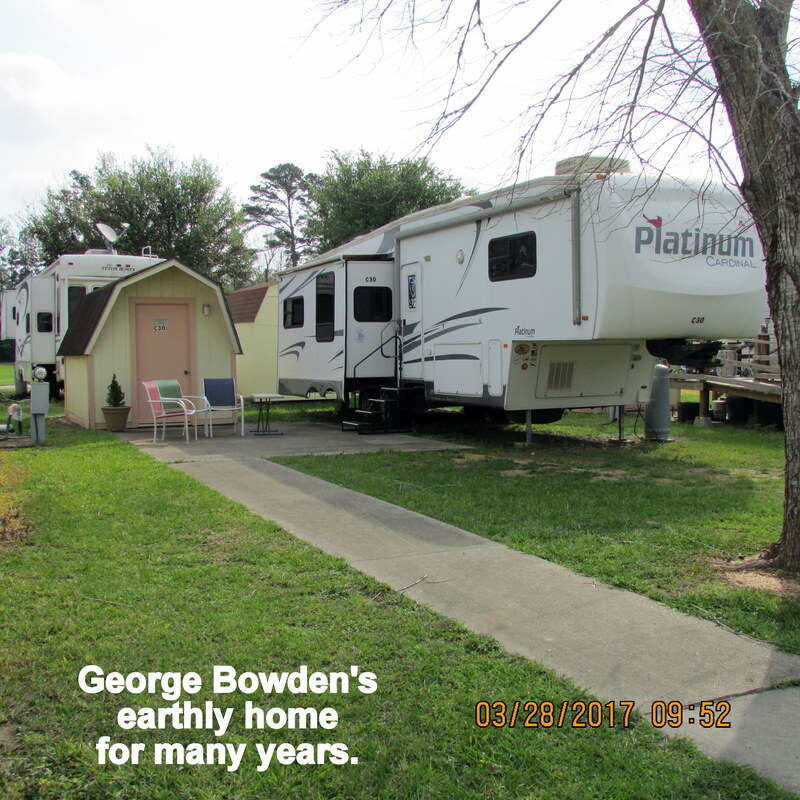 George Bowden has been a valuable member of the CARE community for more years than I’ve known him. 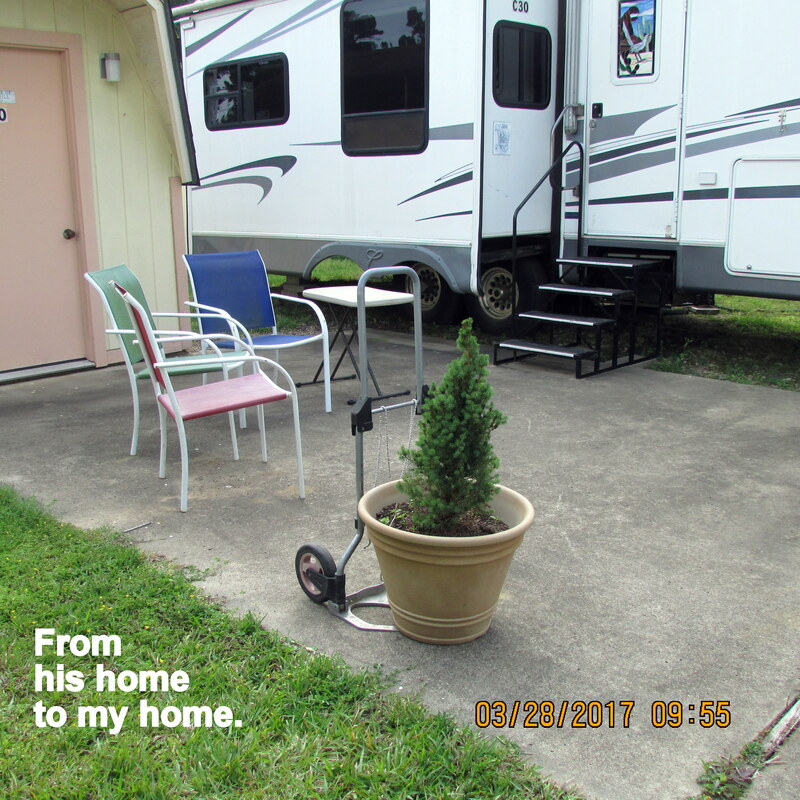 He posted pictures very day on our CARE Facebook page; he helped residents with their Jitterbug phones; he resolved WiFi problems. The list is endless. 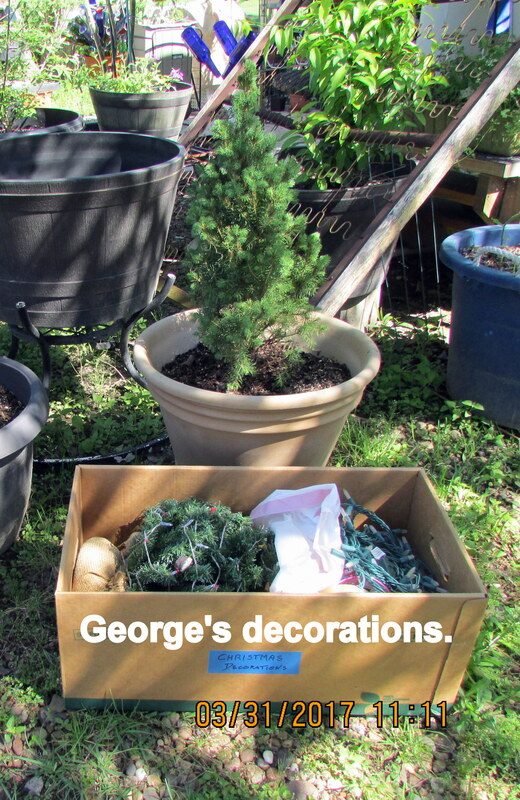 This past Christmas, George’s daughter send a small Christmas tree in a small nursery container. He decorated it with lights. 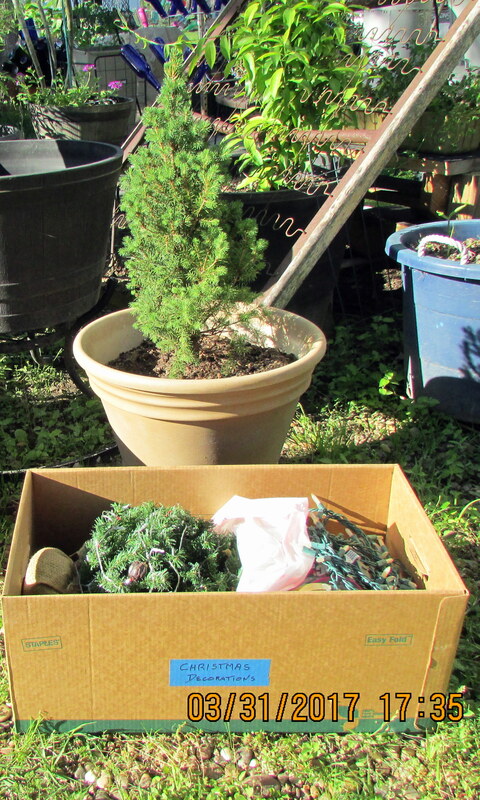 After Christmas we transplanted the tree into a larger container. Today, I received permission to appropriate the tree as my own. 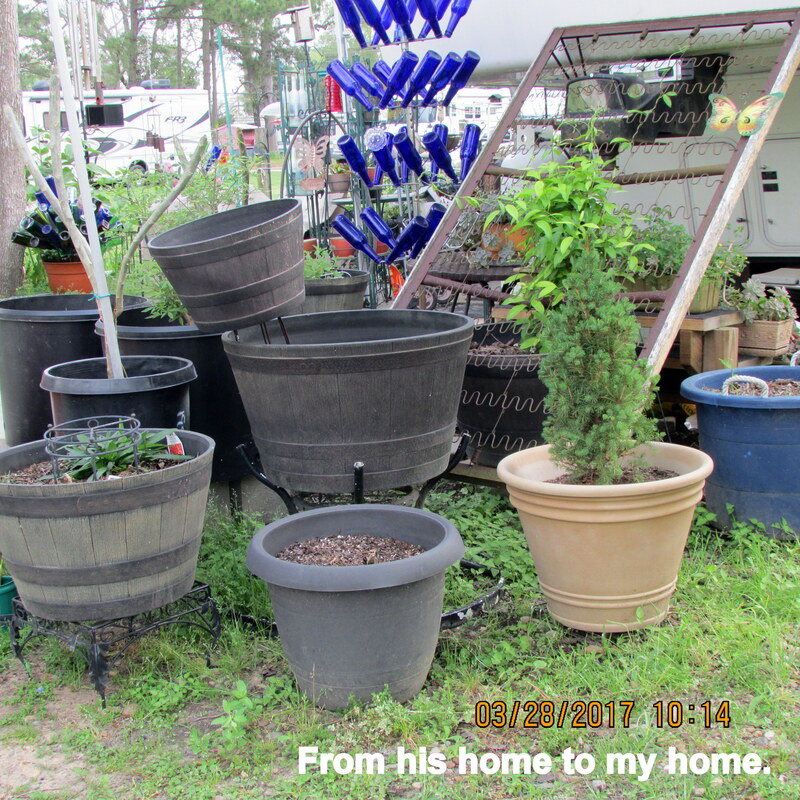 Earlier this morning, I sent him an email message telling him I have more than 200 plastic sheet protectors for him, for copies of CARE Facebook pictures in display albums. 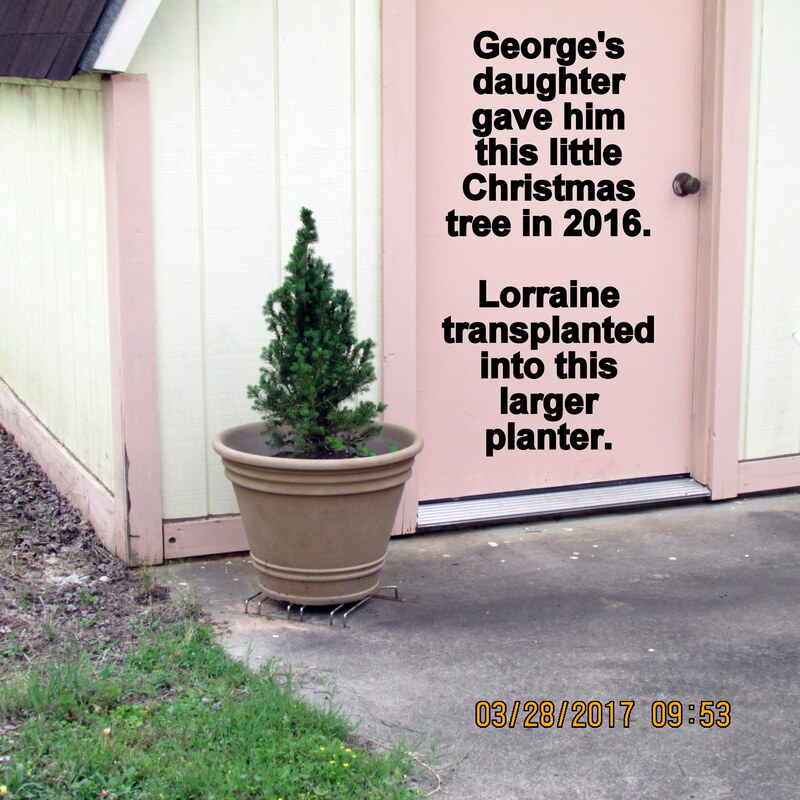 Friday, March 31, 2017: George’s family gave me the decorations he used on his little tree. I’ll gladly adorn his tree next Christmas. ← Oh, woe is me !! Yes we will all miss George. Our CARE Community is in a state of shock. Our prayers are with everyone. 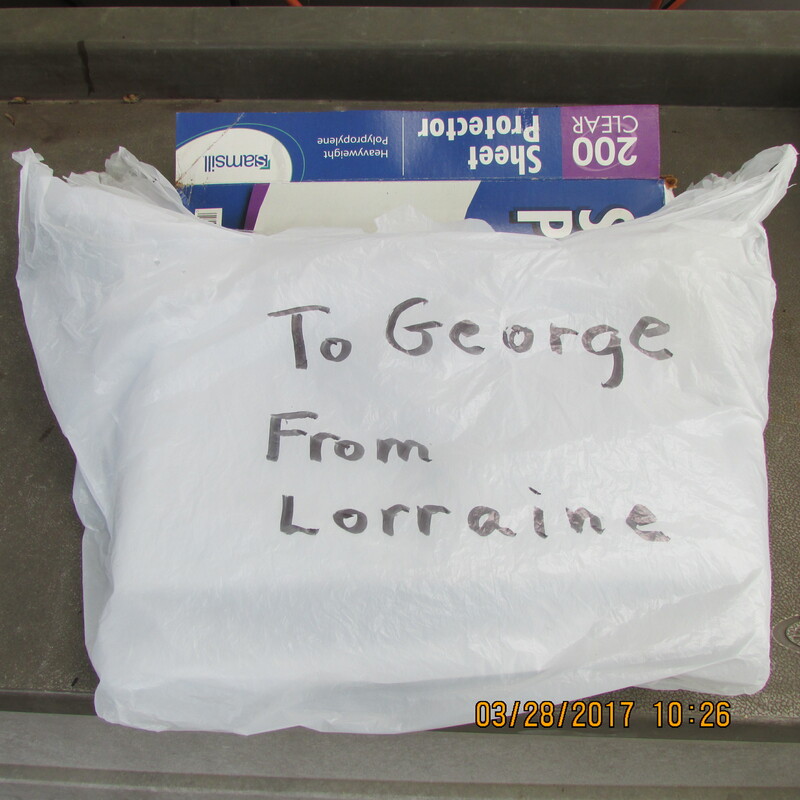 I’ve been praying for George. He’s probably fixing up stuff in heaven for everybody..